SHOWS AT THE MAIN in Santa Clarita IN DECEMBER 2018. 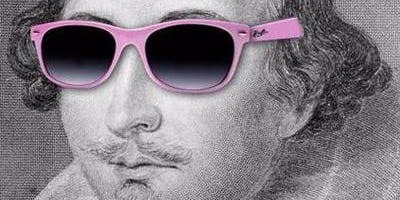 Brush up on your Shakespeare and beyond! Santa Clarita, Calif. – The City of Santa Clarita invites you to attend upcoming shows at The MAIN, located at 24266 Main Street, in Old Town Newhall. Tickets are now on sale for a variety of shows taking place in December. Bridgeway Theatre Company presents “Blood on Thy Hands,” an original work from director Stephan Nieman and writer Sarah Hoftstedt. Bridgeway Theatre Company presents “Blood on Thy Hands,” an original work from director Stephan Nieman and writer Sarah Hoftstedt. It is a contemporary story featuring three of Shakespeare’s leading ladies analyzing life after their story ends. Des (Desdemona from Othello), Lia (Ophelia from Hamlet) and Julie (Juliet from Romeo and Juliet) are in their own version of purgatory, in which they connect with each other to share their perspective of how they died, while discussing the objectivity of male control in their lives and what love means to each of them. Performance dates and times are November 30 at 8:00 p.m., December 1 at 2:00 p.m., and December 2 at 2:00 p.m. and 8:00 p.m. Tickets are $18 for seniors and students, and $20 for adults. The 10 by 10 Variety Show occurs on the first Thursday of the month and features music, film, storytelling, magic, comedy and more! Ten performers, from a variety of genres, are selected to perform a 10-minute piece of their choosing. Every month is different, so you never know what you will see on stage! Performances this month include storytelling with Michael Dougherty, Vicki Juditz and Bart Richards; comedy from Lang Parker and Richard Meyer; comedy and juggling by Ivan Pecel; music with Tracy Lee Nelson, Steve Messick and John Bergstrom; and magic by Glenndalf. The show is Thursday, December 6, at 7:00 p.m. and free to attend. Comedy Mashup is a group of working comedians and improvisers from all over Los Angeles that come together once a month to put on a show that is half stand-up comedy and half improv. 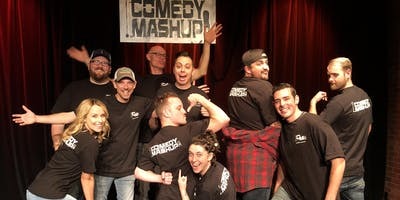 Comedy Mashup is a group of working comedians and improvisers from all over Los Angeles that come together once a month to put on a show that is half stand-up comedy and half improv. Mad House Comedy’s Ashley Johnson headlines the evening, while “Your Favorite Cast” brings the improv and holiday sketch comedy. The show is Friday, December 7, at 8:00 p.m., and is geared towards an adult audience. Tickets are $12 presale and $18 on the day of the show. The Society Comedy Troupe is bringing hilarious and energetic team improv to The MAIN. Similar to the TV show “Whose Line Is It Anyway?,” they ask for audience participation while creating improvised music, comedy and scenes. The show is Saturday, December 8, at 8:00 p.m., and is appropriate for all ages. Tickets are $12 for seniors and students, and $15 for all others. Note by Note is a free musical showcase delighting audiences with a variety of genres. Bands, duos and soloists will perform a wide range of styles, including rock, folk, Celtic, Americana, blues, jazz, country, experimental, western and more! Featured performers in December include Mike Fleming, Abby Lyons, Ric Taylor and Sarah Mee Ran Cave. The show is Thursday, December 13, at 7:00 p.m. and free to attend. Learn more about these shows and purchase tickets by visiting AtTheMain.org/tickets.